Most people have little interest in learning new ways of doing things without some external motivation. 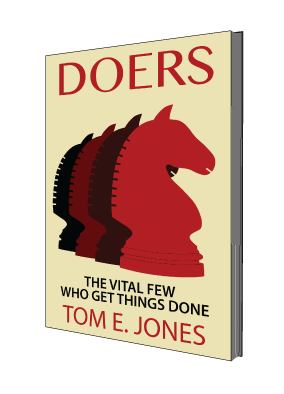 Doers are the exception because they are eager to know what it takes to be a self-directed learner. Even though you’re missing the mark, you’re unaware of that possibility. The potential for mistakes is high because there’s no motive to learn. Stage 2: You know what you don’t know. Suddenly, you become aware that your lack of knowledge is having a negative effect on outcomes. You’re mindful of your shortcomings and your motivation to learn is high. Stage 3: You know what you know. Pleased with your newly acquired capabilities you seek opportunities to practice your skills. Your motivation to learn has been satisfied and your confidence has returned. Stage 4: You don’t know what you know. Satisfied with the status quo, you have no motivation to learn. Unaware of any discrepancies, you’re only a short step away from losing your competitive edge. The best place to plug in is at Stage 2 where you discover what’s not working and become proactive in improving your situation. This stage is the only time you purposely pause to consider the highest and best use of your abilities and to think about what’s blocking your path to success. Note: Self-examination is a great way to discover what it is you don’t know.